For the last four years, we’ve heard feedback from enthusiastic TR-8 fans and artists from around the world. It left us with a pretty clear idea of how we could make it even better, both for studio production and live performance. 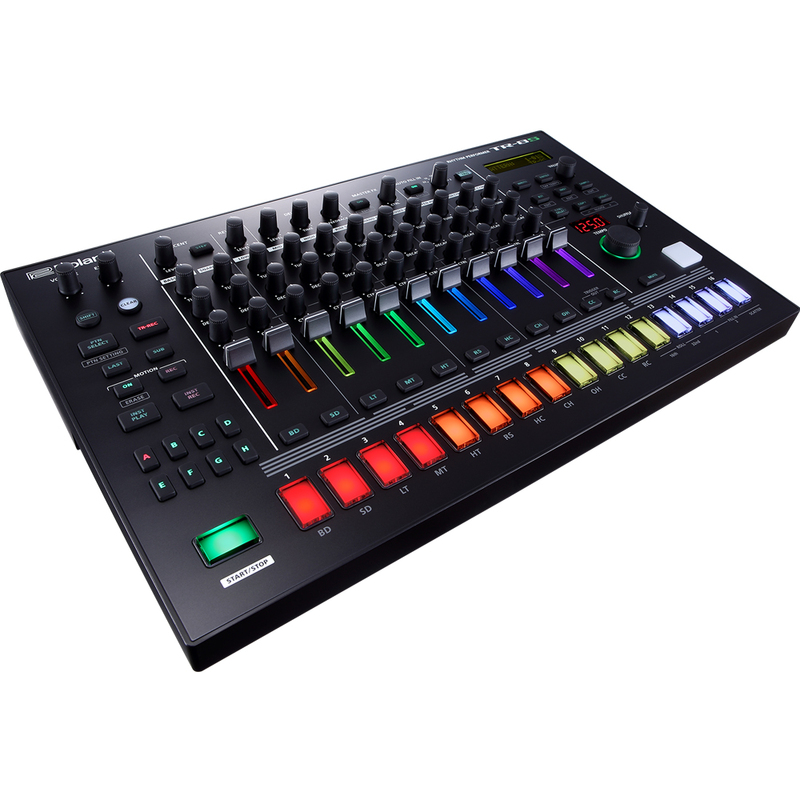 We’ve put these user-requested features-and more-into the TR-8S, while keeping the immediacy and fun-factor of the original TR-8 fully intact. 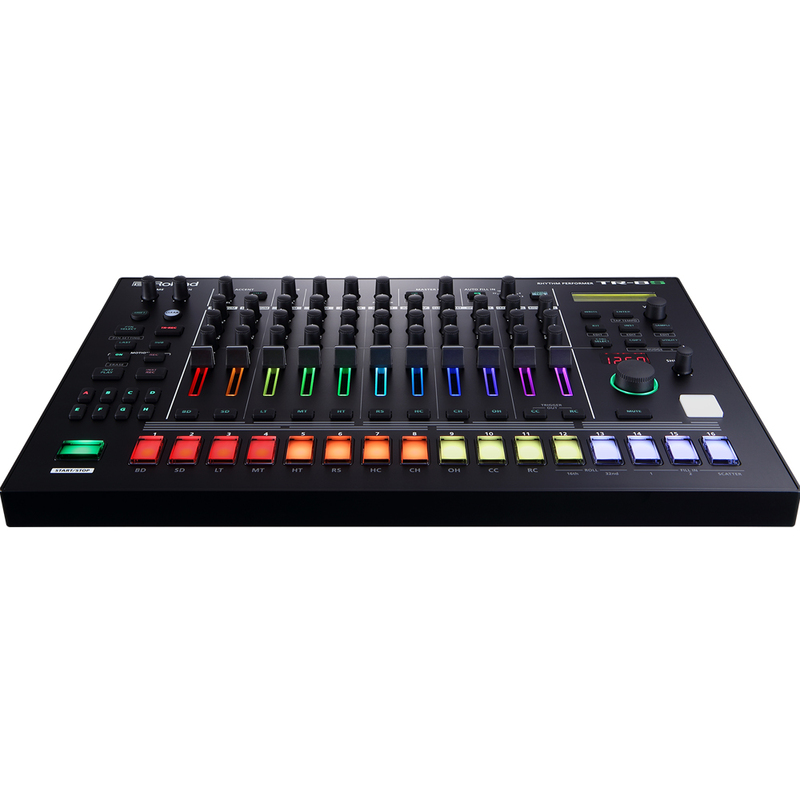 Like some of its famous siblings, the TR-8S has eight separate analog outputs, so you can process individual drum sounds through external effects or send them into separate channels of your mixer or DAW. 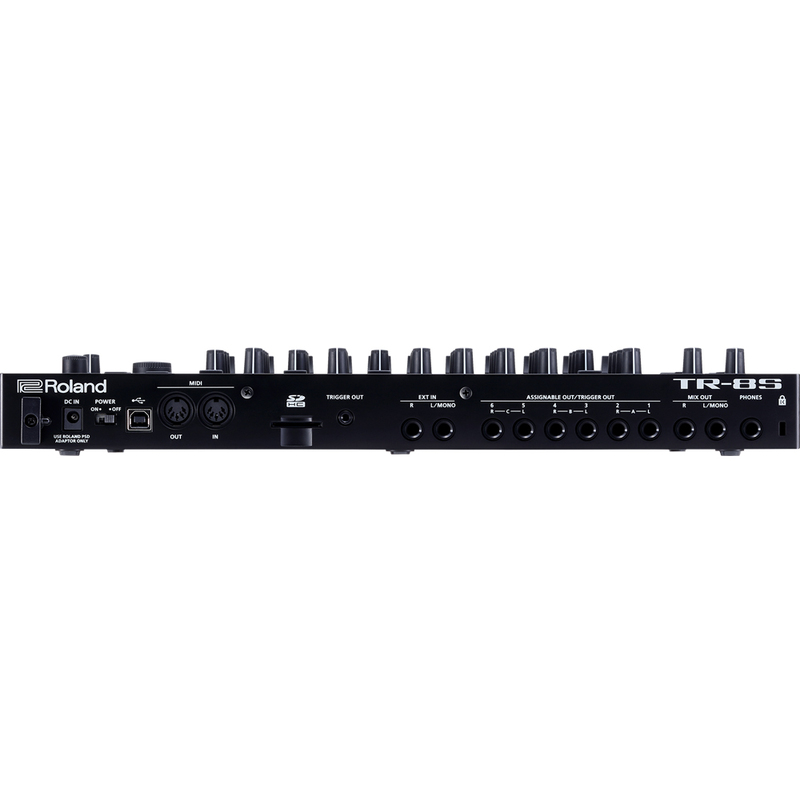 Take control of your sound and decide which instruments or groups are sent to which outputs. And whatever you choose, know that the TR-8S sounds big, punchy, and spacious thanks to its high-resolution 24bit/96kHz digital-to-analog converters. 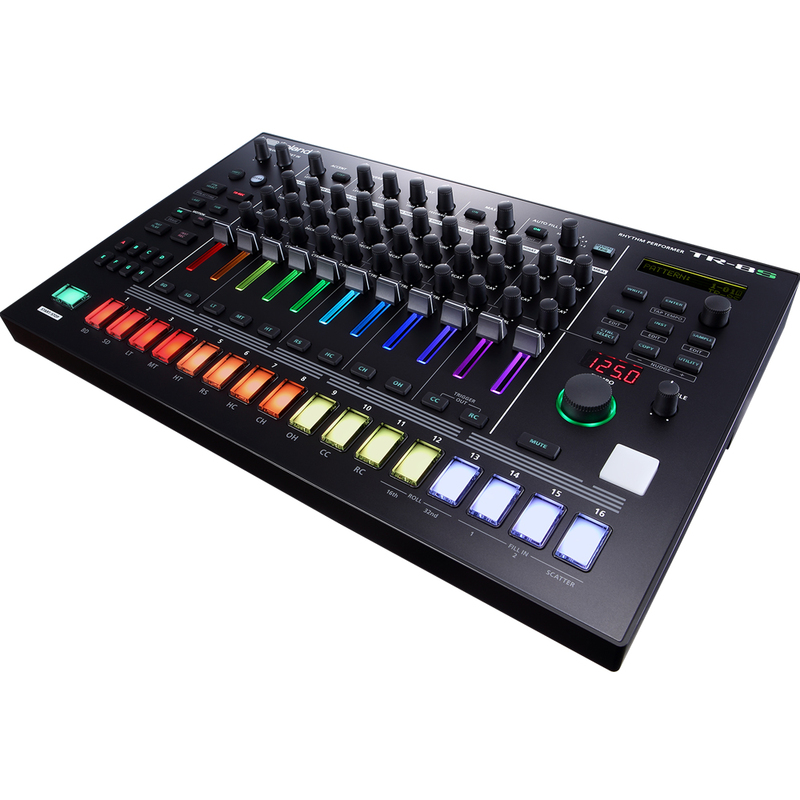 Quite an upgrade on the TR8, the addition of being able to import your own Samples opens up so many possibilities. I am only just beginning to uncover it's true potential. The only thing I am having trouble with is it's integration with Logic but I am sure I will figure it out. All in all very happy with the purchase. Definitely a nice machine. The kits on this thing are stellar, though I’ll be adding some of my own vintage analog drum samples too. It’s lightweight too which is good. 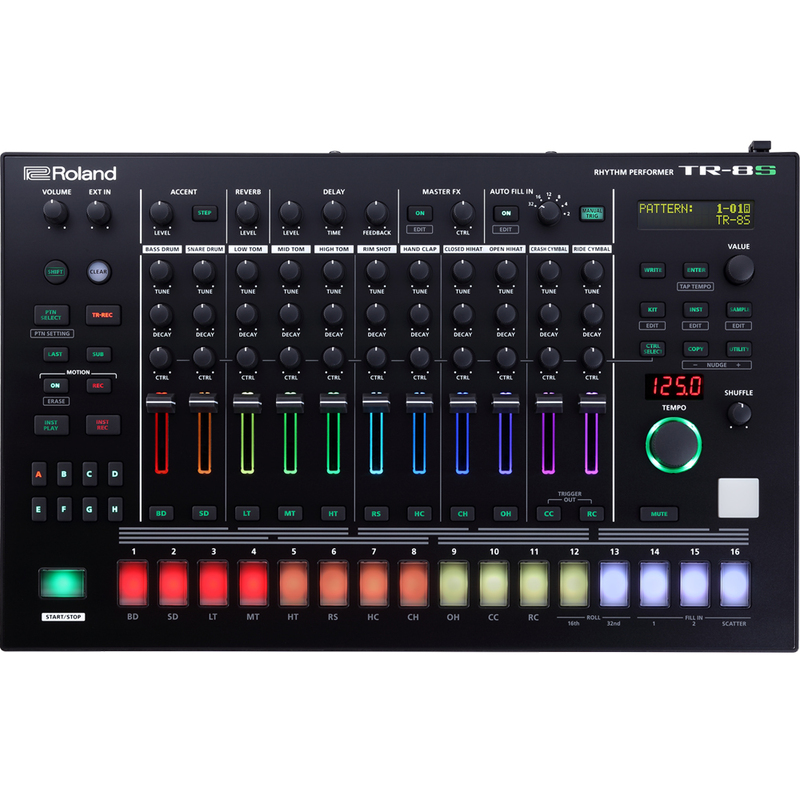 Probably the best rhythm performer roland have created .